As part of the PERFORM research program, the students were exposed to the practices of how the use of digital technologies may give rise to economic value creation in the context of omni-channel retail. The Gunilla Bradley Centre for Digital Business, GBC, at Linnaeus University partakes in a unique research program called PERFORM. The program focuses on the success and challenges of omni-channel retail. ‘Omni-channel’ refers here to the practices of retailers in their interactions with customers through several channels, such as boutiques, web aps, radio and TV. A key question here is how to synchronize such channels in order to provide a coherent customer experience. Doctoral students and others engaged in the educational week. The PERFORM research program is a consortium of five research sites in Europe, in Austria, Germany, Ireland, the Netherlands, and Sweden. It includes a total of 15 young researchers (doctoral students) and 30 senior researchers. 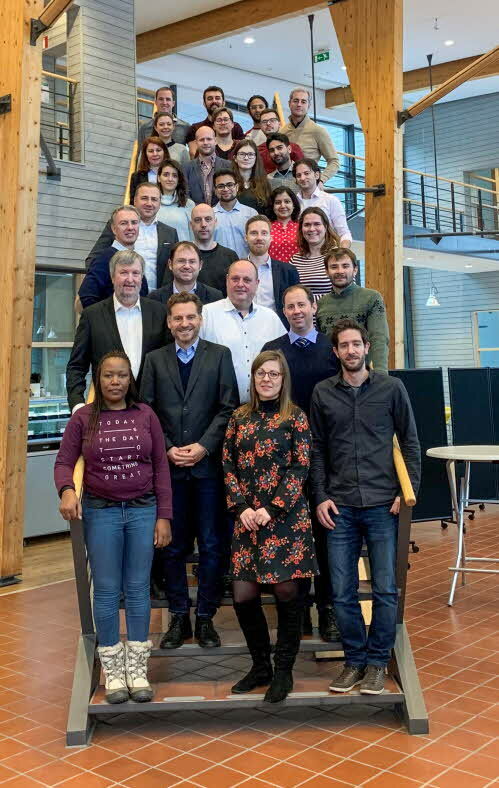 During 14–18 January 2019, GBC acted as the host for a training week for the fifteen young researchers. They were exposed to the practices of how the use of digital technologies may give rise to economic value creation in the context of omni-channel retail. Among others, the challenges of return management were discussed, with novel scientific data featuring how certain return management handling may contribute to higher customer profitability. The next PERFORM educational week will be held in June this year at the Johannes Kepler University in Austria. The PERFORM research program is scheduled for 2018–2021.